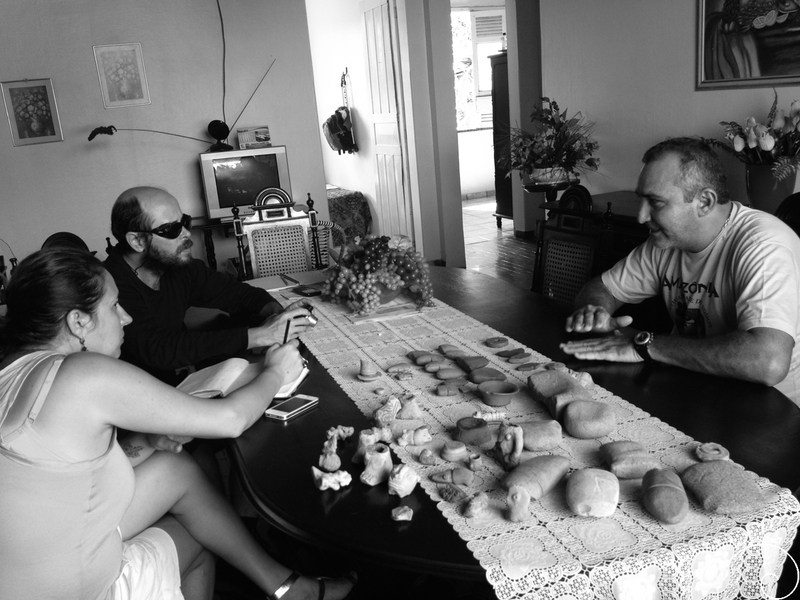 In the picture, Carla and I are talking with Paulo Canto, in Santarém: his home houses a small collection of ceramic and lithic artifacts found in the family site. The objects are displayed in the living room of his home in the city, in a small-glassed piece of furniture. Like his family, others throughout the Amazon region have also formed their collections, many of them still anonymous. Until today, on any restoration or new construction in certain central areas of the city of Santarém for example, upon digging the ground to lay the foundations of a house, or to repair pipes, it is quite possible to find traces of those who inhabited a large village in the past.